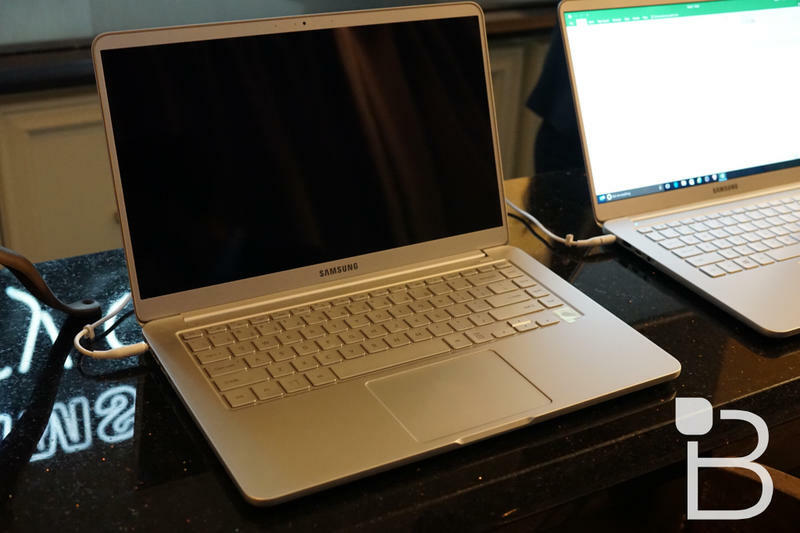 Samsung on Wednesday officially unveiled a gorgeous upgrade to its Notebook 9 series, and we got a chance to check it out at an intimate presentation in Las Vegas during CES 2017. 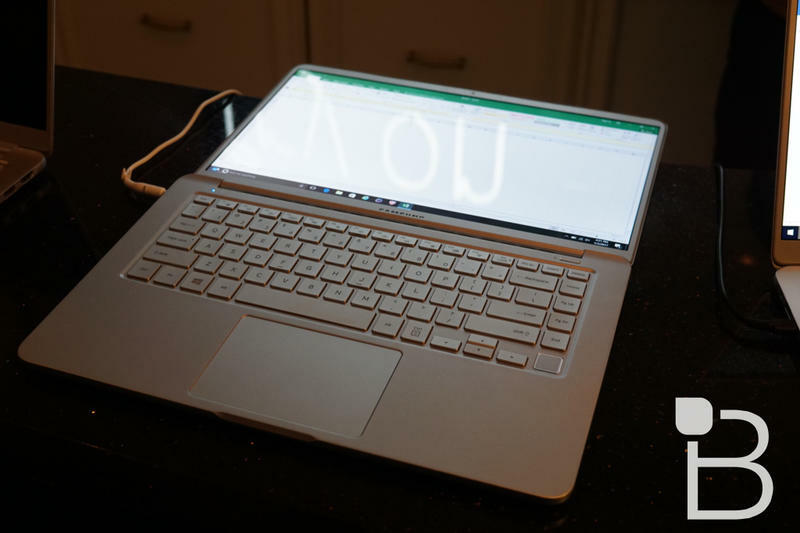 If you’re unfamiliar with the company’s lineup of laptops, this is the second iteration of the company’s premier Windows machine, with the most recent version offering Intel’s sixth-generation Core i7 processor, a 15-inch Full HD display and a USB-C port. The newest model sports the latest specs along with a beautiful redesign to rival Apple’s newest MacBook Pro. 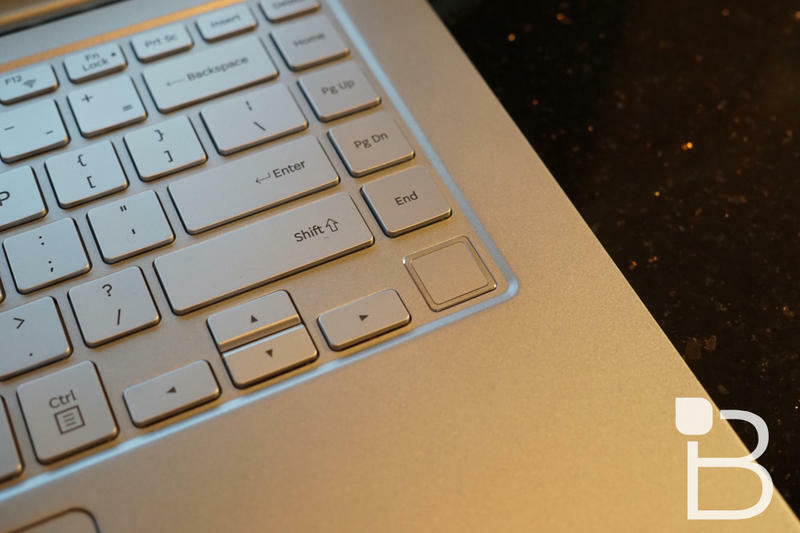 There’s even a fingerprint sensor built into the keyboard. 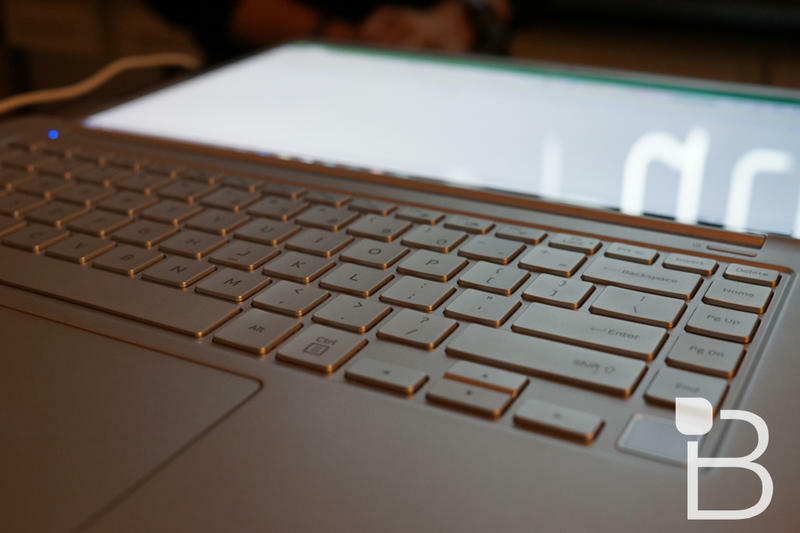 As part of the big redesign, the Notebook 9 features an ultra-slim bezel and near edge-to-edge display; it looks absolutely stunning in person—pictures don’t really do it justice. 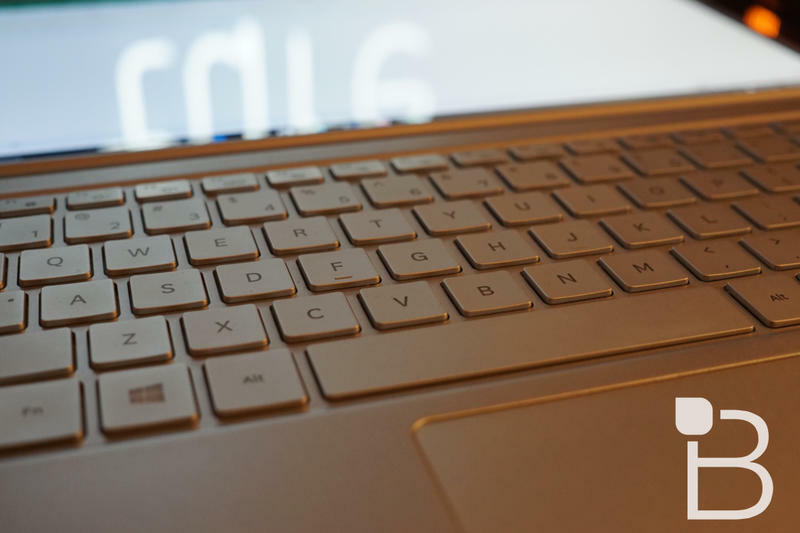 The 15-inch Notebook 9 weighs in at just 2.73 pounds and measure at 0.61 inches thick. It feels incredible to hold and type on, and weighs practically nothing considering how big it is. 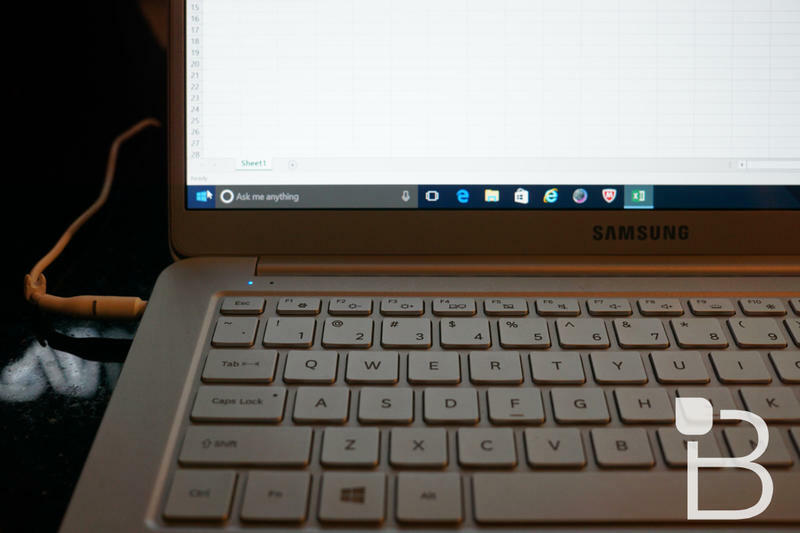 Which is not to say it’s huge; similar to Apple improved the footprint of its latest MacBook Pros, Samsung’s Notebook 9 is svelte even though it sports a big display. 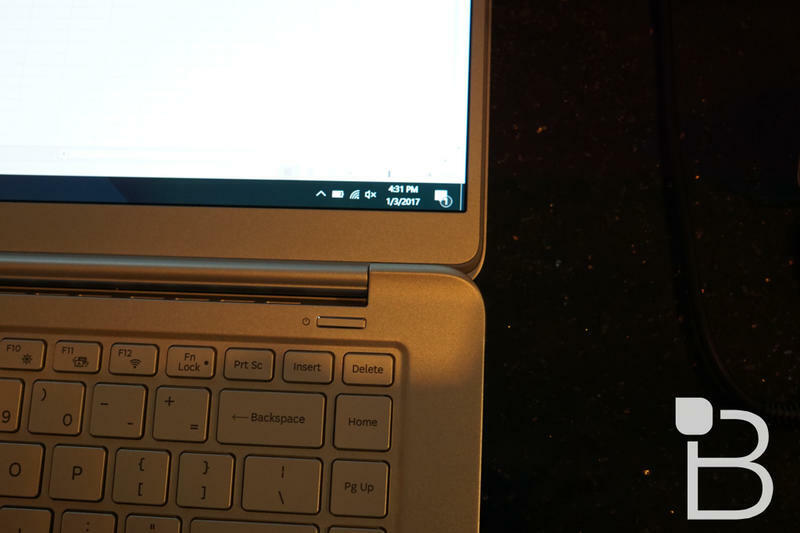 We didn’t really get a chance to push the computer through its paces—some light browsing and navigating through Windows 10—but it certainly feels like a fast machine. It sports the latest seventh-generation Intel Core i7 processor, 16GB of RAM, Nvidia 940MX graphics card, and a USB-C port. 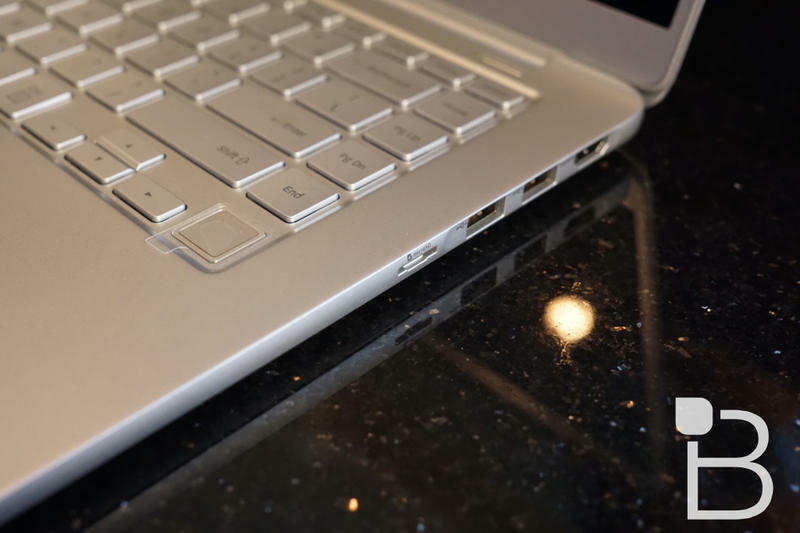 There are also two USB 3.0 and one USB 2.0 ports. 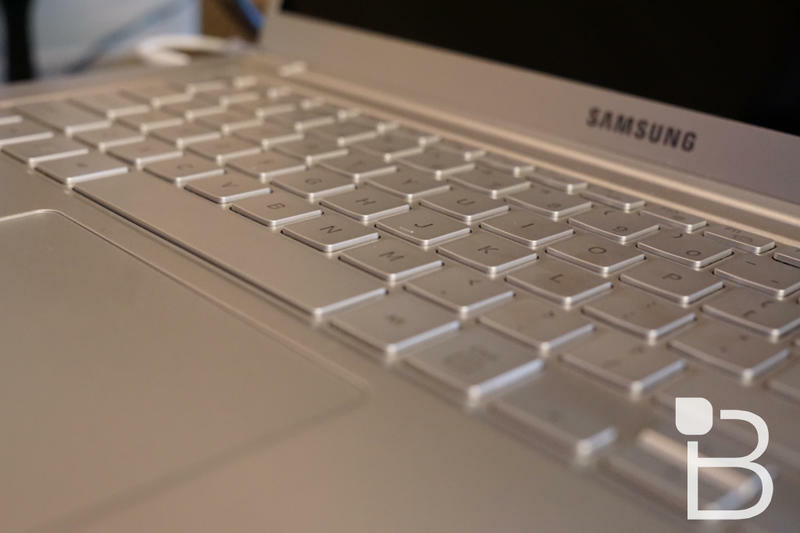 According to Samsung, the new Notebook 9 should lasts users 15 hours of battery on a single charge, which is an absurd rating for a portable machine. Whether that can hold up in real world testing remains to be seen. Should you run out of battery, the device sports adaptive fast charging, so you can charge up in under than 2 hours. 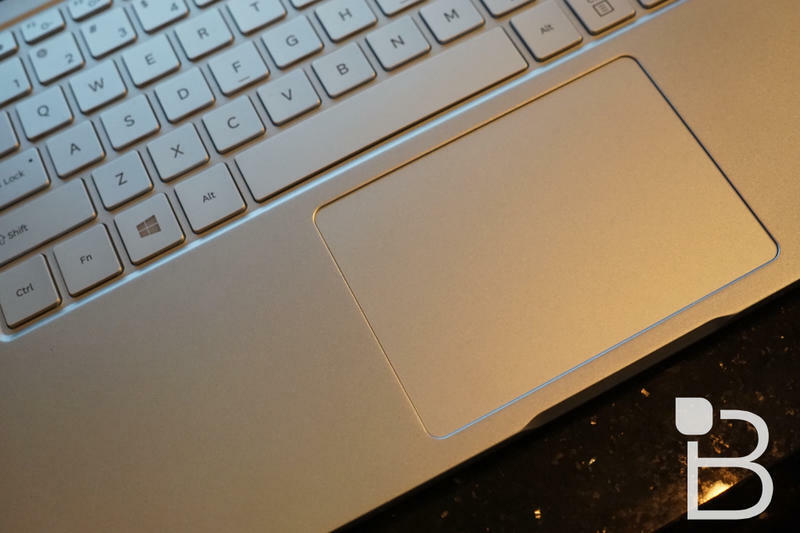 As I mentioned, the Notebook 9 sports a built-in fingerprint sensor as well as support for Windows Hello, so you can easily log into your machine with just a single touch, if you want to. 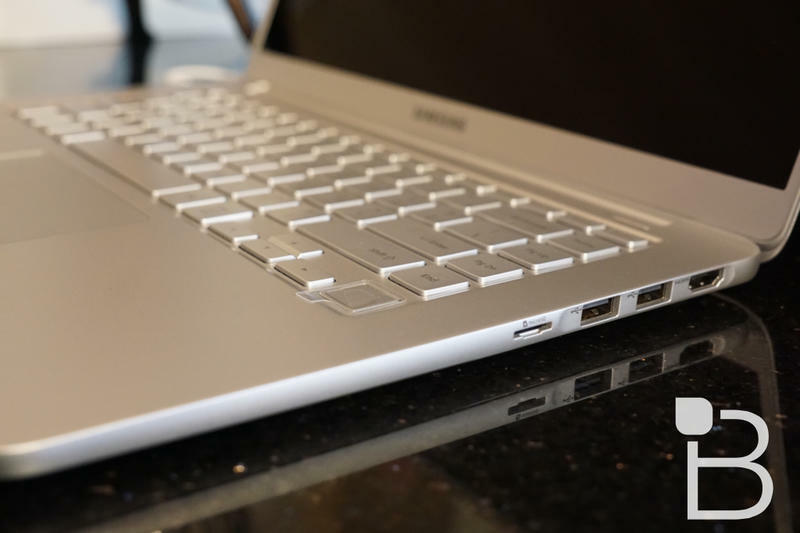 In addition to the 15-inch model, Samsung is also offering a 13.3-inch model for even more portability, though it sacrifices some features like the discrete NVIDIA graphics. No pricing or release date has been announced just yet but we’ll have that information as soon as it’s available.